The medial collateral ligament (MCL) connects the top of your shinbone (tibia) to the bottom of your femur (thighbone). Located outside of your knee joint, this ligament helps hold your bones together and adds stability to your knee. MCL injuries are most common in contact sports, like soccer and football, and are the result of a hit to the outer part of the knee. While MCL surgery can be necessary in some situations, it’s not always the go-to form of treatment. 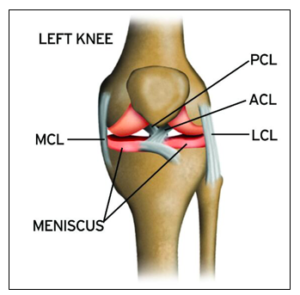 An MCL tear has similar symptoms to other knee injuries, like ACL tears. Because of the similar symptoms, it’s crucial to have an orthopaedic physician assess your injury. Your physician will need to first examine your knee by bending or applying pressure to the outside of the joint. This will also tell them if your knee is loose. From there, an orthopaedic surgeon will likely order imaging tests to get a look at your knee joint. An X-ray will show them the bones in your knee while an MRI scan will give them a closer look at your ligaments. For patients with claustrophobia or anxiety, an open MRI scan can be ordered in certain locations. The right MCL treatment plan will depend on the severity of your tear. Grade I and Grade II tears can heal on their own within a few days to a few weeks as long as you get plenty of rest. Since Grade III MCL injuries are complete tears, the ligament is unable to heal itself and surgery is needed. Surgery may also be needed if there is any grade of an MCL tear along with other ligament issues. During MCL surgery, the orthopaedic surgeon will make small incisions in your knee and insert an arthroscope, which is a small tube-shaped instrument. Methods for reattaching or reconstructing the torn ligament can vary. Options include using a portion of the patellar tendon (which connects the tibia and the kneecap) or the hamstring tendon (from the back of the thigh). Tendon grafts can come from the patient or an organ donor. MCL surgery is typically an outpatient procedure, meaning an overnight stay in the hospital is not necessary. Whether MCL surgery is needed or not, the outlook for recovery after a tear is very good. However, recovery times will depend on the severity of the injury and the treatment option you’re prescribed. It’s important to follow the guidance of your orthopaedic surgeon and/or physical therapist throughout the recovery period to ensure that your knee heals properly and to prevent further injury. Ligament injuries account for 40% of all knee injuries. What does the MCL do? Your MCL connects your leg bones and helps provide stability to the knee joint. The MCL also controls mobility and prevents the knee from extending too far. Do I need surgery to repair my MCL tear? Surgery is not always necessary for MCL repair since minor tears will typically heal on their own within a few weeks. However, if the MCL was completely torn with no functioning in the ligament, surgery will be needed. What is the recovery time for an MCL tear? The answer to this question will depend on the severity of your tear and the type of treatment plan you follow to recover. Low-level tears (Grade I and Grade II) can heal on their own within a few days to a few weeks. Grade III tears are more serious and will require surgery to heal, which can prolong your recovery period.